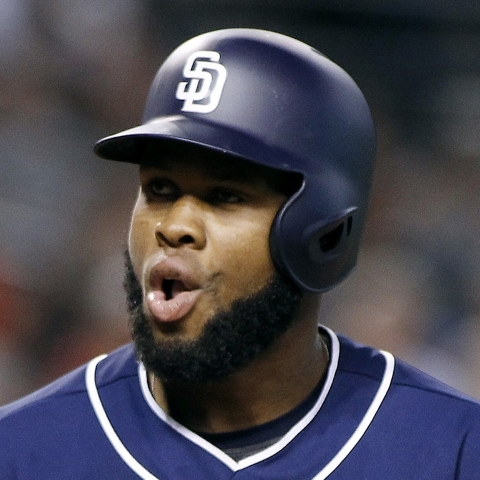 San Diego Padres center fielder Manuel Margot is batting sixth in Thursday's series opener versus right-hander Tanner Roark and the Cincinnati Reds. Margot has been the leadoff man for San Diego in each of his last six starts. 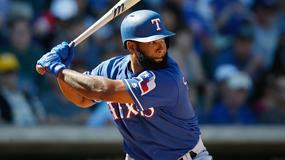 He's batting .314/.316/.500 with 2 home runs and 7 RBI through 57 plate appearances this season. Fernando Tatis Jr. is at the top of the order on Thursday. numberFire's models expect Margot to score 9.1 FanDuel points on Thursday. He costs $2,900. 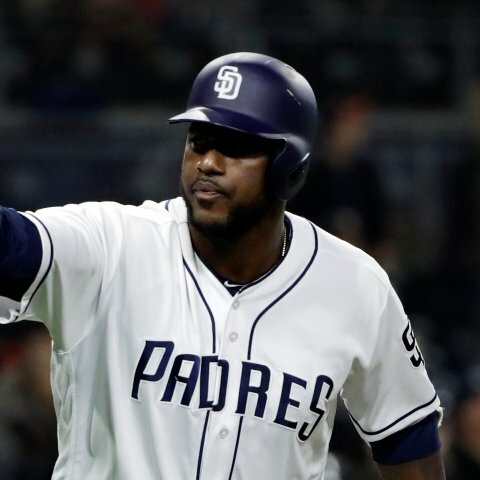 San Diego Padres right fielder Framil Reyes is batting out of the cleanup spot in Thursday's series opener versus right-hander Tanner Roark and the Cincinnati Reds. Reyes hit second the past four games, extending his hitting streak to six games in the process. He's raised his batting average from .091 to .224 since April 7.
numberFire's models project Reyes for 10.5 FanDuel points on Thursday. He's priced at $3,300. 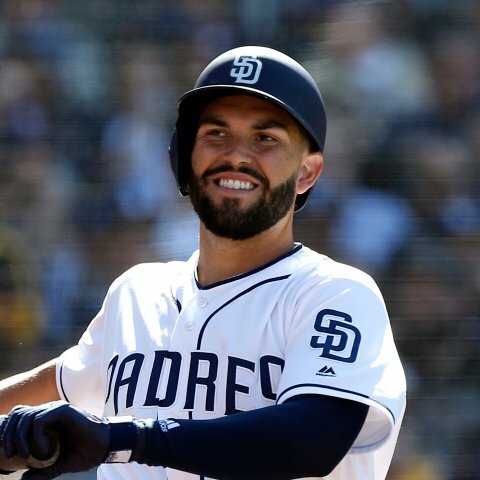 San Diego Padres first baseman Eric Hosmer is batting second in Thursday's series opener versus right-hander Tanner Roark and the Cincinnati Reds. Hosmer hit fifth the past two games, but he's primarily worked out of the two-hole this season. The 29-year-old is hitless over the last three contests. numberFire's models project Hosmer for 9.9 FanDuel points on Thursday. He's priced at $2,400. 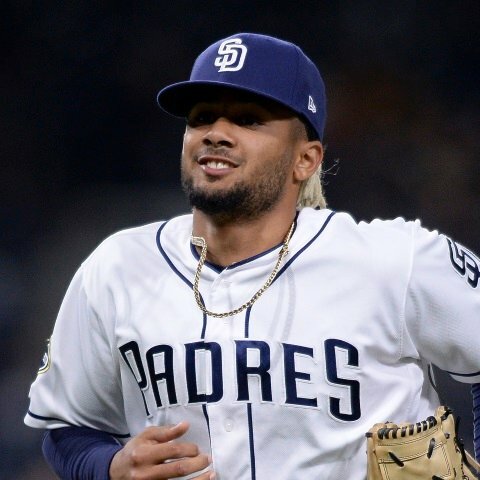 San Diego Padres shortstop Fernando Tatis Jr. is leading off in Thursday's series opener versus right-hander Tanner Roark and the Cincinnati Reds. Tatis has an extra-base hit in four of his last five games, prompting the rookie's move to the top of the order. He's primarily hit sixth this season and hasn't worked higher than the five-hole. Manuel Margot, the Padres' typical leadoff man, is lined up sixth. 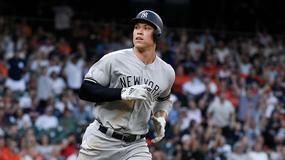 numberFire's models project Tatis for 8.4 FanDuel points on Thursday. He's priced at $3,600. 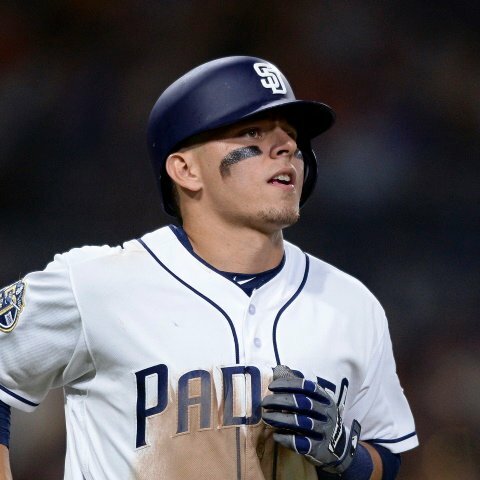 San Diego Padres infielder Luis Urias is starting in Thursday's series opener versus right-hander Tanner Roark and the Cincinnati Reds. Ian Kinsler is sitting, so Urias is making the start at second base and batting eighth. He's 2-for-20 (.100) this season. 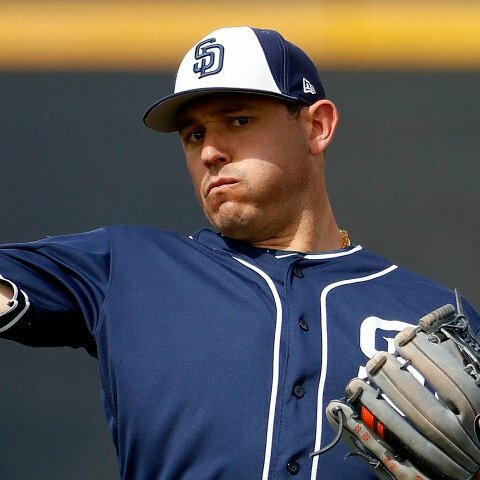 numberFire's models project Renfroe for 5.9 FanDuel points on Thursday. He's priced at $2,200. 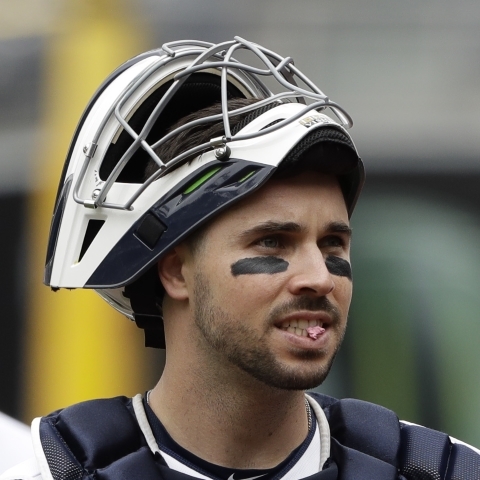 San Diego Padres catcher Austin Hedges is starting in Thursday's series opener versus right-hander Tanner Roark and the Cincinnati Reds. Hedges is replacing Francisco Mejia behind the plate and batting seventh. 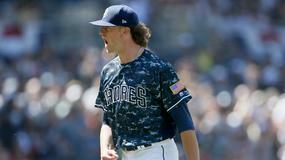 Chris Paddack is toeing the rubber for San Diego. numberFire's models project Hedges for 9.9 FanDuel points on Thursday. He's priced at $2,300. 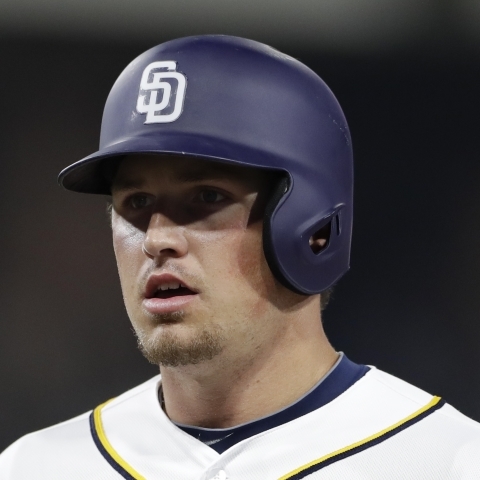 San Diego Padres outfielder Hunter Renfroe is starting in Thursday's series opener versus right-hander Tanner Roark and the Cincinnati Reds. Renfroe is replacing Wil Myers in left field and batting fifth. numberFire's models project Renfroe for 11.9 FanDuel points on Thursday. He's priced at $3,100. 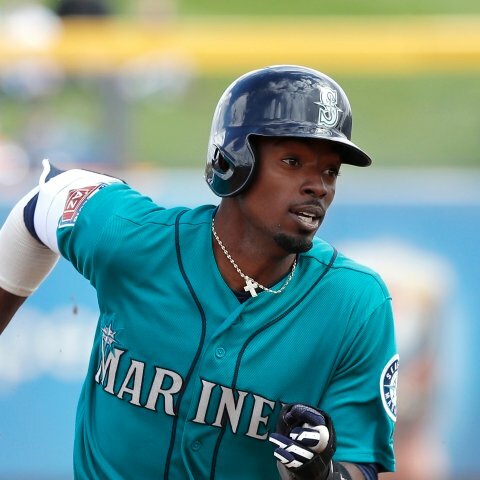 Seattle Mariners infielder Dee Gordon is sitting on Thursday in the team's game against the Los Angeles Angels. Gordon is getting the nod at second base while batting ninth in the order against Angels starter Chris Stratton. 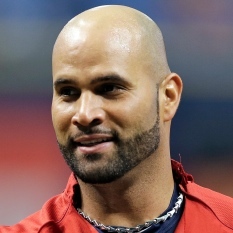 Our models project Gordon for 8.2 FanDuel points across 3.97 plate appearances. 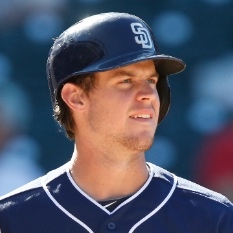 San Diego Padres outfielder Wil Myers is out of Thursday's lineup versus the Cincinnati Reds. numberFire's models expect Myers to bat .241 with 16 home runs, 56 RBI, 58 runs scored, and 15 steals over the rest of the season. 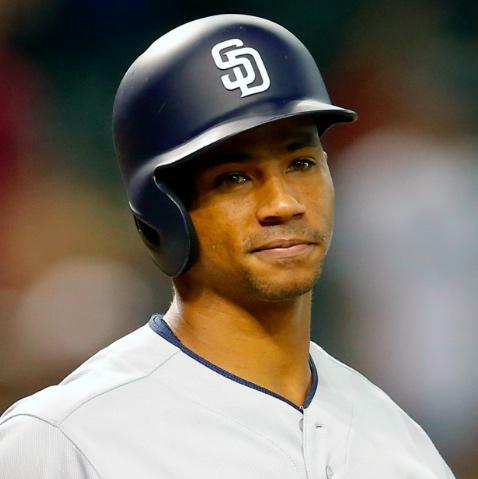 San Diego Padres catcher Francisco Mejia is out of Thursday's lineup versus the Cincinnati Reds. Mejia went 0-for-3 at the plate and yielded five steals in five attempts Tuesday versus the Colorado Rockies. He's 4-for-28 (.143) with 1 RBI so far this season. Austin Hedges is starting at catcher for the Padres in Thursday's series opener. numberFire's models project Mejia for 10 homers and 35 RBI over the rest of the season. Seattle Mariners outfielder Mitch Haniger is in the lineup on Thursday in the team's game against the Los Angeles Angels. Haniger is getting the nod in right field while batting second in the order against Angels starter Chris Stratton. 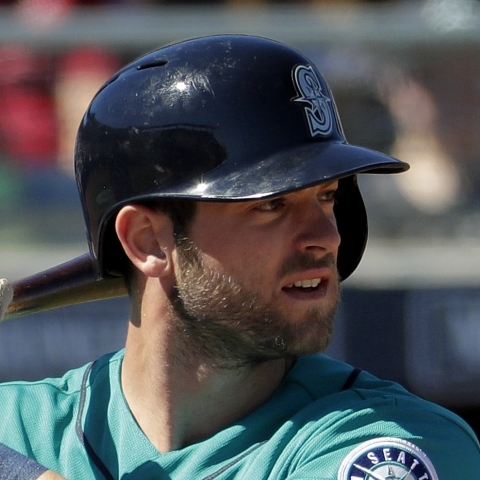 Our models project Haniger for 12.4 FanDuel points across 4.86 plate appearances. 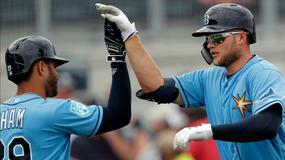 Seattle Mariners infielder Dylan Moore is sitting on Thursday in the team's game against the Los Angeles Angels. Moore is being replaced at second base by Dee Gordon against Angels starter Chris Stratton. 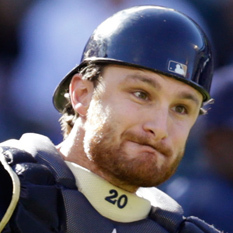 In 29 plate appearances this season, Moore has a .160 batting average and a .556 OPS. San Diego Padres second baseman Ian Kinsler is out of Thursday's lineup versus the Cincinnati Reds. 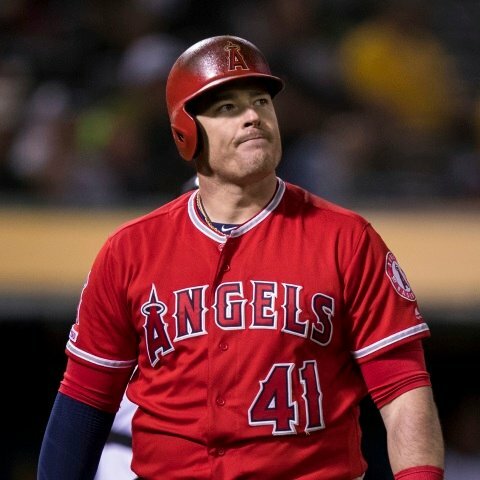 Kinsler is just 8-for-54 (.148) with 1 home run this season. Luis Urias is starting at second base in Thursday's series opener. numberFire's models expect Kinsler to bat .261 with 12 home runs, 48 RBI, 57 runs scored, and 15 steals over the rest of the season. 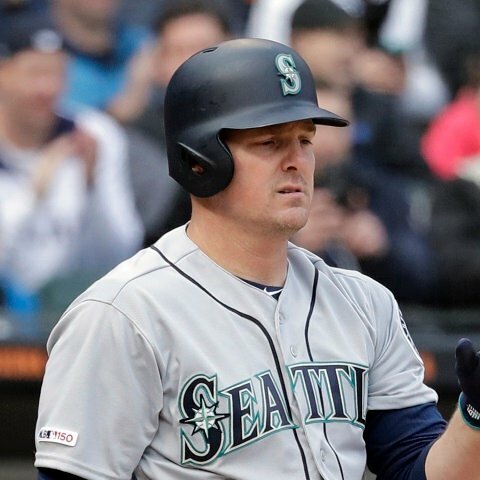 Seattle Mariners outfielder Jay Bruce is sitting on Thursday in the team's game against the Los Angeles Angels. Bruce is being replaced in right field by Mitch Haniger against Angels starter Chris Stratton. In 76 plate appearances this season, Bruce has eight home runs, 14 RBI, a .164 batting average and an .802 OPS. 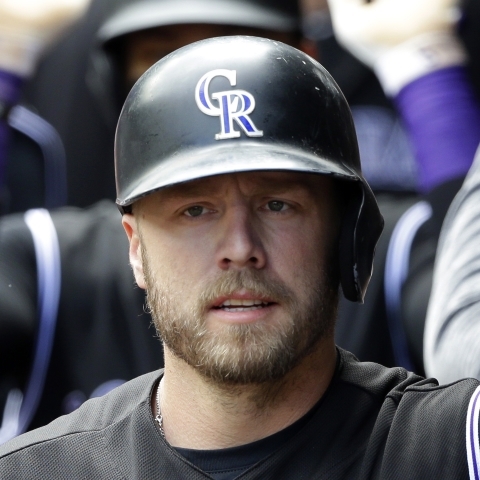 Colorado Rockies first baseman Mark Reynolds is out of Thursday's lineup versus the Philadelphia Phillies. 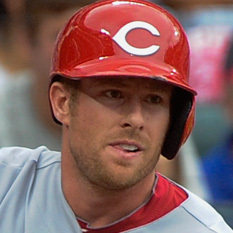 Reynolds is being replaced at first base by Ryan McMahon, who was just activated from the injured list after missing almost two weeks with an elbow injury. numberFire's models expect Reynolds to record 23 home runs and 67 RBI over the rest of the season. 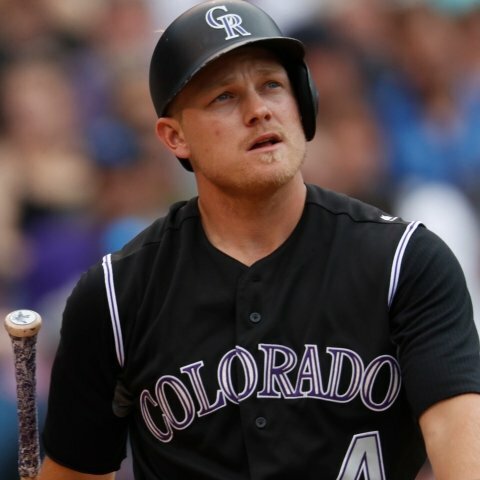 Colorado Rockies infielder Pat Valaika is out of Thursday's lineup versus the Philadelphia Phillies. Garrett Hampson is taking Valaika's spot at second base in Thursday's series opener. Valaika is 2-for-24 (.083) with 11 strikeouts this season. 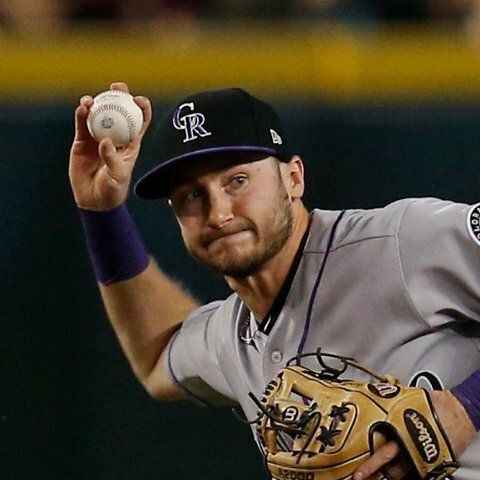 Colorado Rockies second baseman/outfielder Garrett Hampson is starting at second base and batting seventh in Thursday's series opener versus right-hander Zach Eflin and the Philadelphia Phillies. 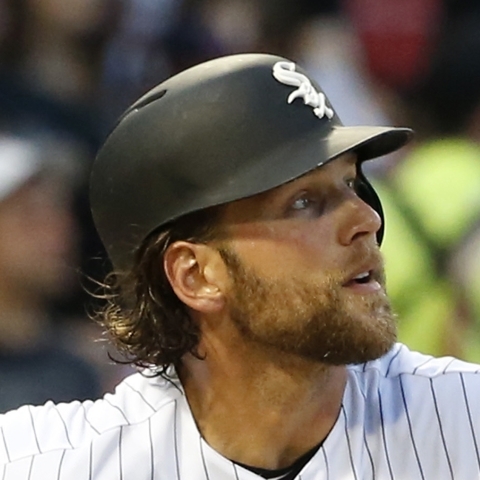 Hampson went 2-for-4 with a homer, a walk, a steal, and 3 runs scored while starting in center field and hitting second on Tuesday versus the San Diego Padres. numberFire's models project Hampson for 8.8 FanDuel points on Thursday. He's priced at $3,200. 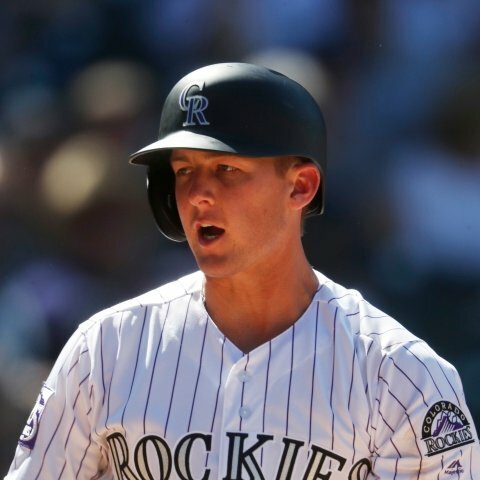 Colorado Rockies infielder Ryan McMahon (elbow) is starting on Thursday versus the Philadelphia Phillies. 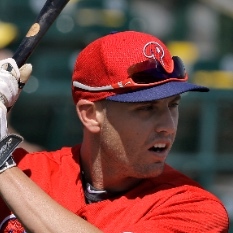 McMahon was activated from the 10-day injured list on Wednesday after missing almost two weeks. He's replacing Mark Reynolds at first base in Thursday's series opener and batting fifth versus Phillies right-hander Zach Eflin. numberFire's models project McMahon for 9.4 FanDuel points on Thursday. He's priced at $3,200. 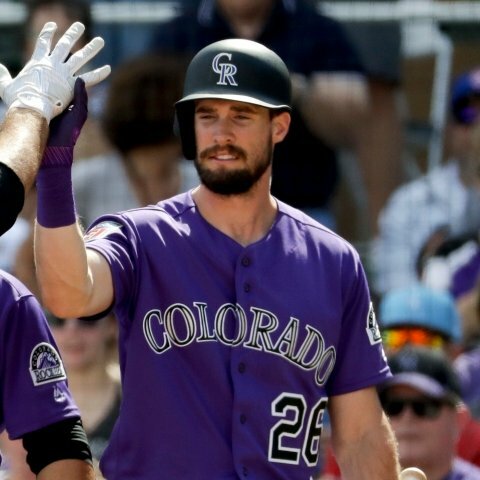 The Colorado Rockies activated outfielder David Dahl (core) from the 10-day injured list. Dahl missed the minimum 10 days with a left side/core issue. He's starting in center field and batting second in Thursday's series opener versus right-hander Zach Eflin and the Philadelphia Phillies. Garrett Hampson is on second base and Pat Valaika is out of the lineup. numberFire's models project Dahl for 12.7 FanDuel points on Thursday. He's priced at $3,900.